This Jud Turner sculpture is pretty metal. What else could you ask for? 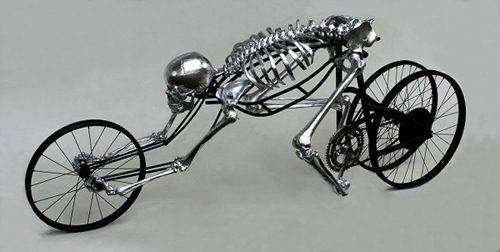 A chrome skeleton and a bike. Look! Bonespins!